Vittorio De Seta was one of the masters of the Italian documentary. During the 1950’s he directed ten ethnographic short documentaries that covered the everyday life in Southern Italy (Sicily and Calabria) and in Sardinia. His films were mainly focused on the activities of the poor people of the land and the sea and they were characterized by the raw almost unedited reality that was depicted in striking colors. 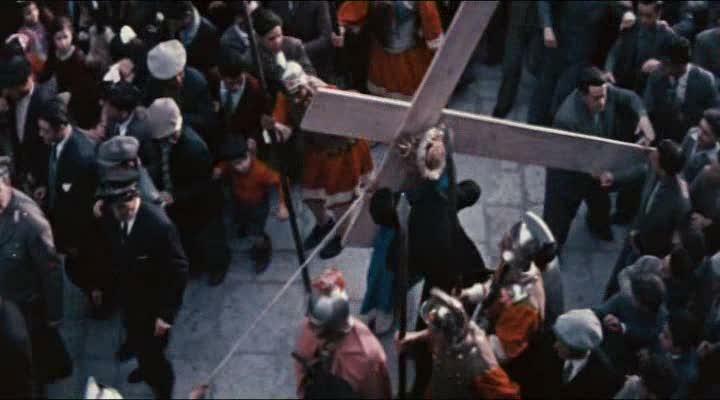 Originally from Palermo, De Seta shot his first ever documentary in 1954 entitled Pasqua in Sicilia (Easter in Sicily). The film was in black and white and he worked with his co-director Vito Pandolfi in 16mm. In 1955 De Seta decided that he was not satisfied by the initial result of the documentary and he decided to return to the same areas and direct a better version. This is the one that we have available here. Pasqua in Sicilia follows the Easter celebrations that take place in the villages of San Fratello, Delia and Aidone and they compose a picture of the religious feeling and the spiritual folklore of the island. As it is accustomed in De Seta’s work, the audio is composed by the voices of the people, religious songs and natural sounds of areas and there is no narration. These rare images and sounds create a great and lost example of Sicily’s life almost 60 years ago.